Fred passed peacefully on Wednesday, March 6 in Albany. Fred was born in Potlatch, Idaho to Vito and Albina (Martini) Gasperino. He grew up in Spokane, Washington and graduated from Gonzaga Prep. In 1957, he met the love of his life, Arlene Schoenwald. They married in 1958 and started a family; March 18th they would have celebrated 61 years of marriage. Fred's entire career was spent manufacturing and repairing power line transformers. He moved his family to Albany in 1965 to start Sunlight Transformer, later becoming Elstor Sales. Fred loved being with family. He enjoyed classic cars and trucks, fishing, camping and yardwork. He was a lifelong fan of the Gonzaga Bulldogs and Oakland Raiders, and never missed a game on TV. Fred was preceded in death by his parents; one brother; and a sister. He is survived in Albany by his wife, Arlene; children, Mark (Julie), Mike (Janie, four grandchildren; 14 great-grandchildren; two great-great-grandchildren), Michelle Berkley (Brian, two grandsons), Danny in Bend, Nick (Angie, two grandsons); grandsons, Scott (Rebekah, great-granddaughter, Sophia) and Joseph (April, and great-grandson, Alfred). In lieu of flowers, please make donations to Samaritan Evergreen Hospice House in Albany samhealth.org/hospice. Dorene Dory Barnes, 92, only child of Gilbert and Myrl Dory, was born in Berkeley California, in 1925 and died suddenly last year, from an accidental fall. Dorene’s pre-teen years were in the Oakland area where she saw the San Francisco-Oakland Bay Bridge and the Golden Gate Bridge being built. She experienced The Great Depression years as a young teenager. Her parents owned and operated a hamburger soda fountain shop during those difficult times that actually expanded to accommodate its’ increased business and popularity. The work hours operating the business eventually became too overwhelming and her parents sold it. When asked about these hard times and the hamburger shop, Dorene would laughingly dismiss the premise or possibility that it could have grown into one of those big well known chains. Upon graduating from Santa Rosa High School in California, Dorene moved with her parents to Elgin, Oregon in 1942. She attended Eastern Oregon University in LaGrande, with several hundred Army Air Cadets. After college, she attended Behnke Walker Business School in Portland, graduating in 1945. While working for H.J. Hough Lumber Company in Portland, she met sailor Daniel Barnes who was stationed in Portland on a blind date and they were married. His later employment at the Pacific Power & Light Co resulted in the family moving frequently throughout Oregon. Dorene was a stay-at-home mother of two children, living in the towns of Klamath Falls, LaGrande, Pendleton, Cottage Grove and Arlington. Her family participated in many activities together, such as camping, boating, league bowling, and other assorted hobbies popular during that time. After moving to Corvallis in 1970, she divorced after 29 years. She began working at Oregon State University, as an office coordinator, retiring from the Department of Foreign Languages in 1993. 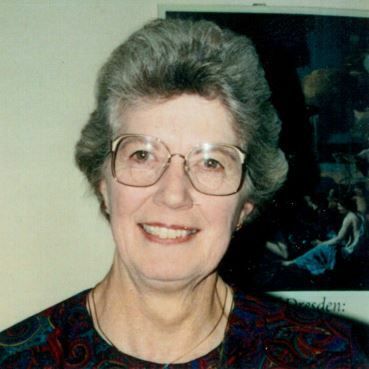 Dorene stayed active in retirement, volunteering in the offices of Benton Hospice (ten years) and Corvallis Police Department Records (13 years). She also enjoyed sewing, reading, water aerobics, meeting friends for breakfast and periodic trips to the casino. Throughout her life, Dorene remained mentally active and was known to be gentle and kind by those around her. In 2015, Dorene decided that maintaining her house of 45 years required just too much effort and she moved into an independent living apartment in Wilsonville. She is survived by son, Mike; and daughter, Diane; three grandchildren and four great-grandchildren. At Dorene’s request, there was no memorial service and burial was at the Island City Cemetery near LaGrande beside her parents. Charlie was born in Albany. As a child, he moved to Lebanon. Charlie attended Gore School and Lebanon High School, where he was a talented soccer player. At 15, he worked at Hank’s Concrete after school. Eventually, he became a full time employee at Hank’s. He worked a few other jobs before landing a union job in the field of insulation. He worked for the union up until his illness. Charlie had a very good work ethic and provided well for his family. He had many hobbies; camping with his children, 4-wheeling, boating, fishing, working on cars and family gatherings. Charlie is survived by his mother, Melanie Burrese; father, Tony Strunk; children, Adam, Adrienne and Kianna; grandchild, Peyton; brother, Kevin; sister, Toni; and many aunts, uncles, nieces, nephews and cousins. Salenna was his rock toward the end and was the mother of his children. Ricky Immel was his dearest friend and confidant. Charlie will be joining Jesus and his daughter, Kiera, who preceded him in death. Donations can be made to the scleroderma foundation and domestic violence. Gloria Austin Young, 91 of Albany, passed away on Thursday evening at her home. Gloria was born in Harvey, Illinois to Roy and Sylvia (Pekny) Austin. She grew up in Wisconsin, and graduated from high school in Fond du lac, Wisconsin. After graduation, her work took her to Prince Edward Island, Canada, New Brunswick, Nova Scotia, the East Coast and then to Milwaukee, Wisconsin where she met her future husband. She married Wesley J. Young in Carlton, Minnesota on April 10, 1947. Three children were born to them before leaving Minnesota for Oregon in 1951. Another child was born in Sweet Home. They then moved to Albany in 1960 and have lived in her present home since 1968. Gloria loved gardening and flowers, especially her roses. She enjoyed playing games with friends and feeding the birds that flew her way. She enjoyed writing poetry for and about her friends and family. Gloria is survived by son, Ronald Young of Lewistown, Montana; and daughter, Dr. Gloria Heatherington of Las Vegas, Nevada. She was preceded in death by her parents; brother, Allen Austin; husband of 59 years, Wesley Young; and 18 year old son, Jimmy Alan Young. At her request no public services will be held. A private inurnment will be at Willamette Memorial Park. In the wee hours of the morning of February 28, Dana quietly passed. As sad as this is to so many of us, we know she is free - no more struggles, no more pain. Dana was diagnosed with liver disease several years ago. At the young age of 53, she could no longer hold back the final progression of non-alcoholic cirrhosis (NASH). Dana was born to Larry and Shirley (Rounsaville) Sturgeon on July 2, 1965 in Lebanon. She joined her two older siblings, James Moore and Paula Moore. She was quickly dubbed “tink” by her Daddy. Later, she was known as “Kaky” by her family and friends. Dana attended Green Acres School and graduated from Lebanon High School in 1983. She continued to maintain friendships with most of her childhood friends. Her son, Lane was born March 13, 2002. Lane was the child she had long prayed for and the center of her world. She had lived in Stayton for 25 years. She worked at Catherine’s Ladies Apparel for quite some time. Recently, she had worked with Mark Griner as a pet-sitter, which she considered to be her second highest calling. She truly loved those pets (as well as their owners!). Dana and her Mama were baptized in Tacoma, Washington when Dana was 18. She was a member of the Kingdom Hall of Jehovah’s Witnesses in Stayton. Survivors include her 16 year old son, Lane; sister, Paula (Nico) Rodriguez (Boise, Idaho); nieces Jennifer Jensen (Salem) and Natazja Rain-Marie Huskey (Boise), “adopted” brother David Parrish and several uncles, aunts, cousins. Also included are too many friends to name. She was preceded in death by her father, Larry Sturgeon (1984); her mother, Shirley Crouch (2008); and her brother, Jimmy Moore (2004). She was also preceded in death by her grandparents, William and Clara Marie Rounsaville and Arnold and Marion Sturgeon. All are welcome to attend the graveside service at 11 a.m. on Friday, March 22 at the IOOF Cemetery in Lebanon, Oregon (37295 Cemetery Rd.). After the service a “celebration of life” get-together is planned at The Morning Star Grange (38794 Morningstar Rd NE Albany, OR). Those planning to attend are invited to bring flowers, food for the potluck meal, or anything they desire to honor Dana’s life. Rose was born on June 23, 1927 in Detroit, Michigan. She attended St Thomas School in Detroit, where she received her first communion. She met her husband, Harry while he was serving in the Navy near Detroit. She enjoyed telling the story about how they met at a baseball game in the park. After Harry was discharged from the Navy, they moved to his hometown of Great Falls, Montana. They were married in January of 1946 at Holy Family Church. They were married for 53 years. Harry passed away in 1999. Rose and Harry had six children, Carol, Dan, Rosanne, Tina, Vic, and Rod. While the children were growing, Rose stayed busy working as a CNA. She also volunteered as a Brownie leader. She enjoyed selling Studio Girl Cosmetics. She was such as good salesperson that she became district manager. She enjoyed participating in the Camera Club and the Mineral Club in Great Falls. She would often accompany the family on rock hunting trips. She enjoyed acting. Harry and Rose participated in acting in plays with a local acting group in Great Falls. Rose was an artist. She took art classes at the college of Great Falls. She enjoyed teaching her grandchildren how to draw and paint. She entered several of her paintings for display in juried art shows. Rose enjoyed travelling with Harry. When he was transferred with his job to New Mexico, she fell in love with her house in Grants. When Harry was transferred to Tucson, Arizona, she enjoyed living in the desert. After Harry passed away Rose moved to Albany to be closer to family. For the last ten years, she lived at Timberview Care Center, where she made many friends. She was especially close to her granddaughter, Marie, who spent time with her daily while she was at Timberview. They spent time together painting and visiting. Rose was a devout Catholic. She spent time as a Eucharistic minister. She made rosaries, giving them to those who were in need. She was a long-time member of St. Mary’s Parish in Albany. Rose was preceded in death by her parents, Helen and Charles; and her husband, Harry. She is survived by her six children; 12 grandchildren; and 15 great-grandchildren. A celebration of life was held at Fisher Funeral Home. Condolences may be posted online at www.fisherfuneralhome.com. Sandi was a loving mother who cared for everyone, not just her immediate family. She grew up on a 750 acre farm in Corvallis with her parents Fred Allen and Betty Davis, and her two elder siblings, Linda Allen and Stephen Allen. She went to Corvallis High School and attended Oregon State University and Marylhurst University. Sandi grew up working on the farm, helping drive transportation vehicles, tractors, combines, grain trucks and many other machines found on the farm. She met her husband, Joseph DePaepe at Oregon State. Married in March of 1977, they both lived in Ashland for about eight years until they moved up to Portland. Sandi was diagnosed with ovarian cancer in the early 80’s. Surviving cancer led her to adopt her daughter, Anna DePaepe from China. In Portland, she had an interior design business. She also worked with many organizations to help improve the lives of young people. Sandi worked as a board member for the local YMCA chapter and organized fundraisers for them. She contributed to the startup of the Rose City Aquatic Club swim team, where her daughter swam for many years, as a founding board member. She also managed the Swim Meet Manager database that allowed for the team to be entered into swim meets. Sandi was a constant presence on the pool deck, sitting through countless swim meets. She worked for years with Backpack Buddies to provide lunches for children in need. Sandi’s true passion was working as an ASPIRE mentor at Clackamas High School. She worked with numerous students to apply for scholarships and college, allowing them to get into their top choice schools. During her time as an ASPIRE mentor, not only did she help many students, but she also managed many volunteers in their efforts to help the students. While doing all of these things she traveled the world with her husband and daughter, traveling to over 25 countries. She treated her daughter’s friends as if they were her own, driving them to movies and other adventures into the wee hours of the morning. Sandi also planned many beach trips throughout the years with friends and family. She always made sure that her father, brother, sister and aunt were well taken care of before any plans were made. She will be missed greatly by everyone. 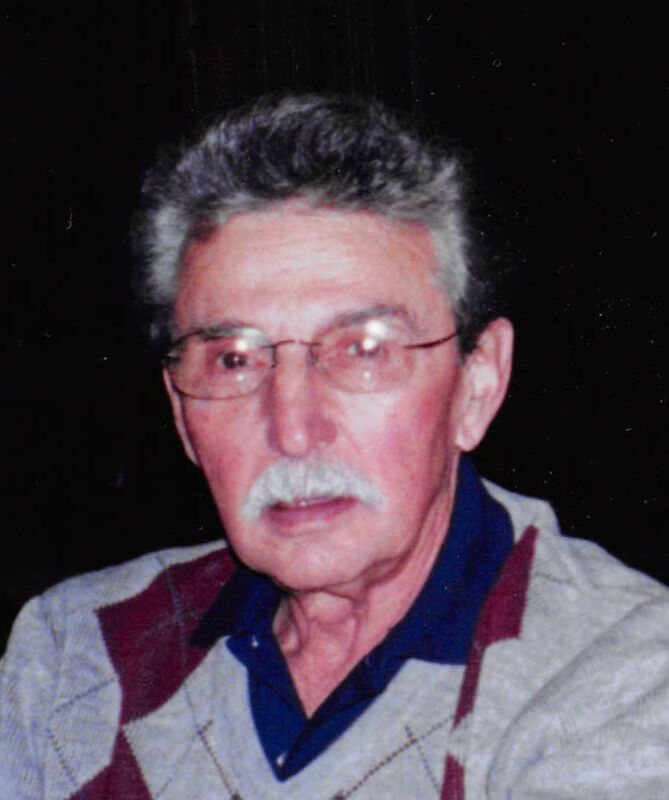 George Gordon Bellamy, 81, died at home on Thursday, March 7 after recent struggles with health issues. Born in 1937 in Bellingham, Washington, son of George Bellamy and Dorothy (Paul) Bellamy, he was raised in Alaska and Washington state. After graduating from high school, he went to work for Boeing in Seattle, Washington and later received his degree from Washington State University in Metallurgical Engineering in 1963. George was an avid skier both in his youth and during his working life. His other passions were camping and fishing at which he was able to spend much more time during his retirement years. His favorite fishing area to spend with his wife, Mary Ann, and their dogs Freddy and Duncan was South Twin Lake where his ashes will be scattered. He is survived by his wife of 25 years, Mary Ann (Jarvis) Bellamy; his brother, Paul; his sister, Joan; three children Todd, Brian, and Rachel; one grandchild, Austin; and many close friends. There will be no funeral services but a celebration of life will be held in the coming summer for family members.